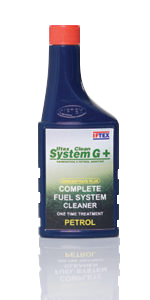 IFTEX CLEAN SYSTEM D+ (FOR DIESEL ENGINES) | IFTEX OIL & CHEMICALS LTD.
Cleans carbon deposits of injectors and maintains proper spray pattern. Keeps intake valve, combustion chamber free of deposit built up. It gives extended life to injectors, injection pumps and prevents wear. 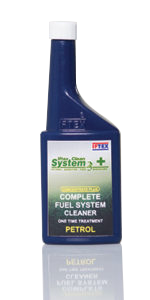 Eliminates drivability problem such as rough idling, cold starting, hesitation and poor acceleration. Empty contains of bottle into Fuel Tank, Fill tank with fuel. Drive normally. 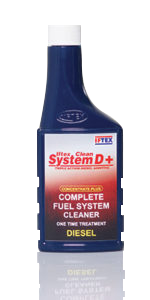 For best results regular use of Iftex Clean System D should be used at eate of 1 ml/litre of diesel afterwards. 300 ml, 125 ml &50 ml.